Profit prophecy is a new binary options software that claims that you can make $15,500 in just 15 minutes. These types of claims of course it is important for me to do my due diligence and make sure that this system is not just another scam. 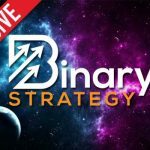 Today I’ll be providing a review(profitprophecy.co) and letting the binary today readers understand whether or not they should make a purchase of this new automated binary software. It is very clear to me that the profit prophecy is the type of binary options system that I want to stay away from. As soon as I went on the front page of this website after getting an email in my inbox I see a video that is very poorly put together. This video shows three testimonials of people that look like they’re bad actors. Each and every one of these people claim that they made $15,500 and it our and to me that sounds way too much like I get quick rich scheme. The profit prophecy software is not explained one iota throughout the entire video. All they say is that you have to sign up with their broker immediately and then you get $15,500. I’m not sure about you guys, but for me it is really hard to look past the missing elements here. How do we go from $0-$15,000 an hour. I appreciate that they are telling us this can happen but as a smart investor I need a little more information then sign up and this works. I will not be recommending the profit prophecy to any of the binary today readers for the reasons I outline before. The software provides no information of the strategy and gives us no record of results. No one in the binary options community has ever heard of anything from this developer and that’s enough evidence for me to stay away from this. If you something you would like to add to this review please leave your comments below. As always I appreciate the things said by binary today community readers and I hope that this website serves you well. I don’t Ronald and this product did not get a favorable review from us.